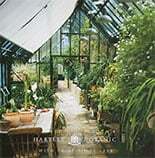 Do you measure and install the greenhouse on two levels? Yes we would visit site, measure and prepare a quotation for you. If you then placed an order our technical office would visit to take accurate measurements to enable us to prepare detailed drawings for the base to be built. We would then install the greenhouse onto your pre-prepared foundations.